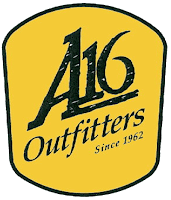 The Southern Terrain has recently began working in a partnership with the locally based San Diego company Adventure 16 (www.adventure16.com), a leader in providing outdoor clothing and equipment to adventure enthusiasts. One of the goals of A16 is to provide their customers with opportunities to learn about local, domestic and international adventure tours and this is where TST comes into the picture. 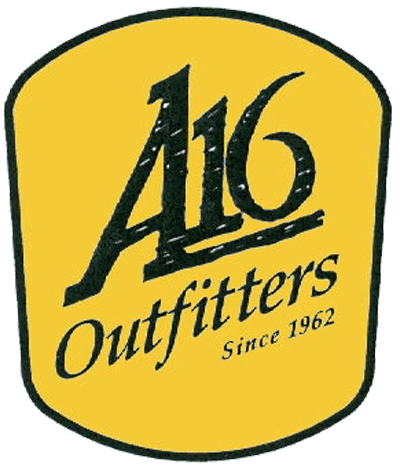 Starting in the month of July Kevin and Andrew will visit several Adventure 16 stores to do informative presentations on different adventure locations that we have experienced. 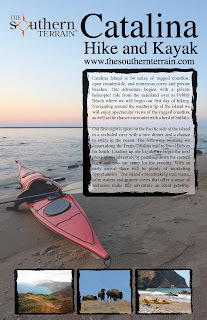 These are informative sessions that go over the history of the area, tips on how to get there, and information on "must dos" when you do arrive at your destination. 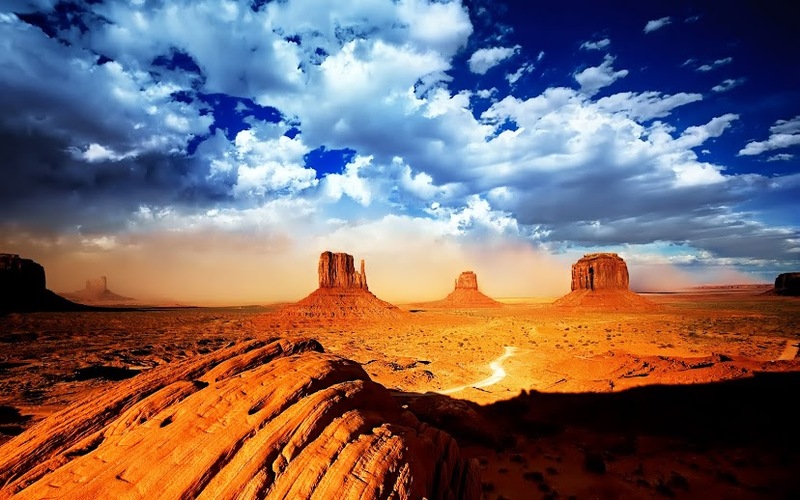 With our experience in taking clients to these locations we have learned all the details and the best way to make your trip worthwhile whether you use us as your guide or go on your own. The first dates that we have lined up with Adventure 16 are July 6th and July 8th. On Tuesday our presentation will be at the San Diego A16 and on Thursday we will be presenting at the Oceanside location. All presentations in July are about Catalina Island and will start at 6:30 pm with a happy hour hosted by Redwood Creek followed by our presentation at 7:00 pm. 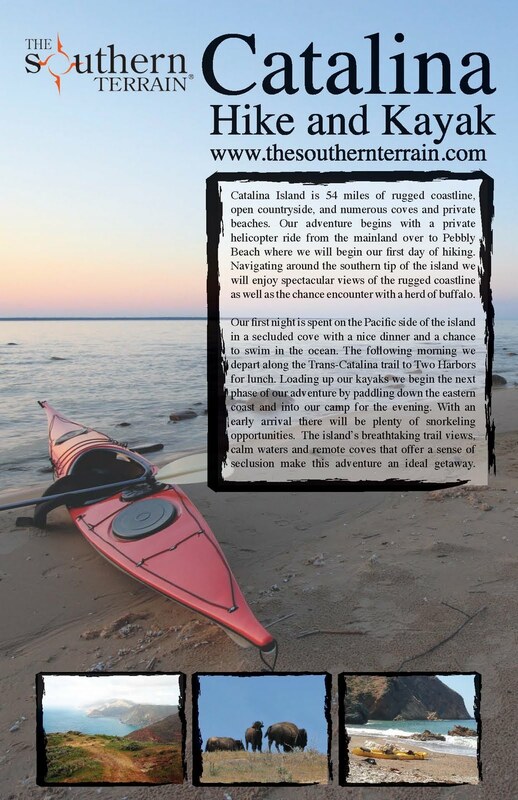 This is a great opportunity to come into the store relax with a glass of wine and find out more about the amazing Catalina Island and the Trans Catalina Trail. After the presentation there will be plenty of time available to ask questions about Catalina and also how TST can help get you there. If you have any questions or comments about other trips that we can offer this is also an opportunity to ask. We really look forward to strengthening this alliance with A16 and each month stay tuned for more presentations in their stores.